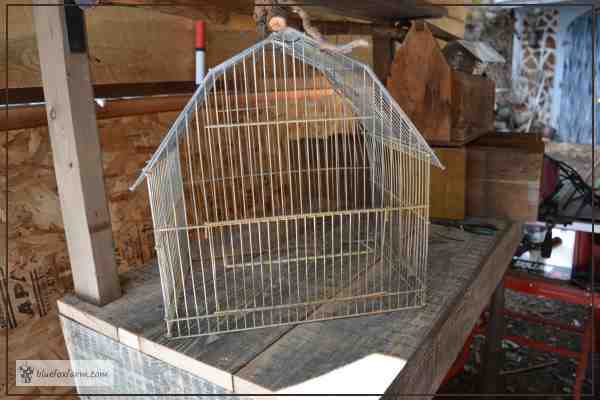 I've been busy collecting bird cages for a few years now, weathering them in the bonfire to get the paint off, and adding a unique touch. My collection numbers over twenty bird cages, all with no base, and often, a twig handle to replace the wire ones they came with. With paint burned off in the bonfire, they weather and rust to perfection. Usually, they're displayed on the Eggporeum, the bird centered museum slash garden shed. Sometimes they perform and important duty of protecting young plants, especially kale and other greens, from the depredations of greedy deer. Normally, I remove the base (which is often plastic anyway) and leave the doors open. 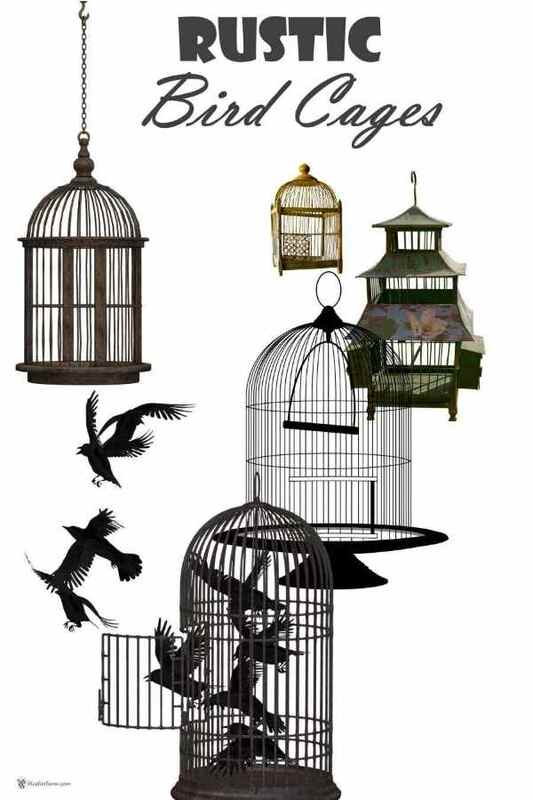 These bird cages will never again hold a bird captive. If the base is a plastic tray sometimes it can be used for a mold to make hypertufa pots from, or recycled. It takes a while in the fire to carefully turn it over and over to burn all sides equally. Then it's scooped out with the pitchfork and left to cool. Next day I take a wire brush to it and scrape off the rest of the remaining dust and ash. Leaving it exposed to the rain will wash off any debris that's left, and also start the rusting process to give them even more patina. 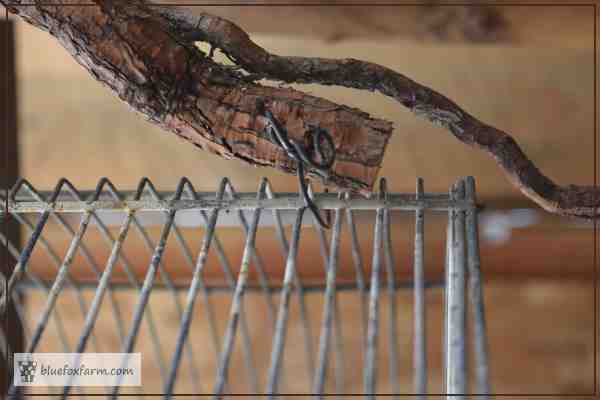 Then comes the magic; I find twigs and roots on my walks around the property or from the riverbank after a flood, and these make a new handle for each bird cage. Wired on with tie wire, they make a perfect accent - not just beautiful, but functional too.